Scheduling Pet Sitting and Pet Waste Removal service just got easier! New and Existing clients can now manage your profile and schedule service with just a few simple clicks! Click the appropriate link below to schedule service. 1. Do not schedule more than 1 month worth of service at a time. 2. It is not necessary to enter your credit card info when signing up. You will receive a bill via email. 3. Upon successful completion of scheduling service you will be contacted within 24hrs. New clients via the phone number you listed. Existing clients via email confirmation. 4. Ensure you enter the correct visit dates and times. 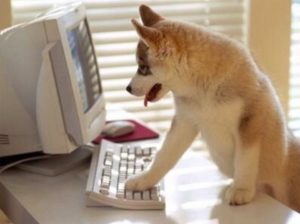 The information you enter is what we will use to care for your pets. 5. You are not guaranteed service until you have received a confirmation email from us and made your payment by your due date. 6. Pet Waste Removal service can be booked up to 2 days per week. Most visits are done on Thursdays and Friday. We do our best to accommodate dates you select however, due to schedule restrictions we may complete the service on a different day.